Woolley & Co, solicitors managing partner Andrew Woolley shares his views, based on many years experience, of How to Avoid a Messy Divorce. TALK. In our experience, friends are good to talk to for basic emotional support but they can be so supportive (which they tend to think means agreeing with you, no matter how unwise your thoughts) that they unintentionally cause problems to increase. Although talking is important you do sometimes need to practice selective listening, especially to people who want to tell you “in my divorce, I got X so you should get the same”—trust us; your cases will be different. If you need more emotional support than your friends are able to give we’d suggest talking to a counsellor or a divorce coach. 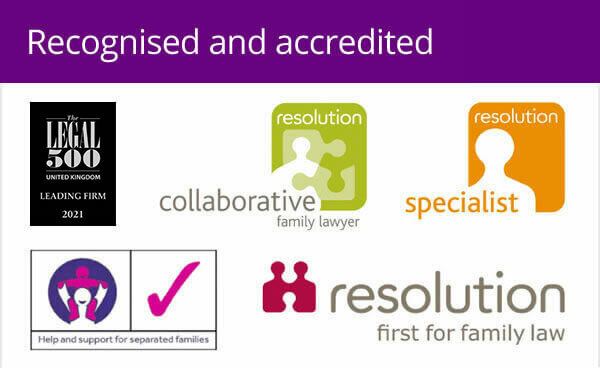 Visit the Divorce and Family Law support area of our website for details of counsellors and coaches who specialise in divorce anf family law issues. DON’T DIVORCE. Well, please at least consider what you really want to do. Do consider going to Relate or a relationship counsellor. They can often help with how to get your spouse to go, too, if that is an issue. For some people the decision to get divorced is too great a step to take initially. If this is the case you should still give consideration to sorting out any financial issues between the two of you with a formal separation agreement. This can make the divorce process later a whole lot more straight-forward. SPECIALIST LAWYER. Please, please! If you ignore all the rest of this article, do get a specialist divorce lawyer. 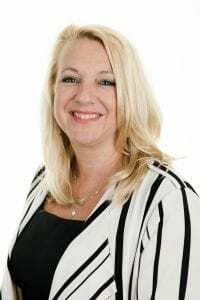 There is a very big difference between lawyers who do a little family law work alongside say conveyancing, accident claims and so on and lawyers who specialise in divorce and family law work and have many years experience in this field. It takes a specialist and thus confident lawyer to advise you properly. Their experience means they tend to be very much quicker in grasping the issues in a case and thus charge less overall. HONESTY. Please be honest, right from the start. With yourself, too. But certainly with your lawyer. Do mention what you regard as the “bad bits” and don’t hide any finances at all. They will probably be found out anyway and can usually be handled well by a specialist lawyer. Hiding things will certainly cause a very messy divorce and you’ll regret it later, I assure you! MEDIATION or COLLABORATIVE LAW. Well, yes, maybe. But do take care. There can be a risk in these sometimes for the less powerful partner and sometimes that they can go on and on at significant cost and be used by some spouses to delay things. So, only go to a mediator or collaborative lawyer who is really good at what they do—again, we can help with suggestions. DISCUSS with your lawyer what you really want to achieve. Hopefully it’s not retribution. If it is, then this is when the massive legal bills we read about sometimes occur. Do avoid it. Just aim at what you really want and need and keep the aim on that. You’ll be pleased you did. AGREE a case plan with your lawyer. What, how and when. Make sure they keep to it and if not, why not? Agree fees, ideally fixed fees, in advance so you can budget properly. 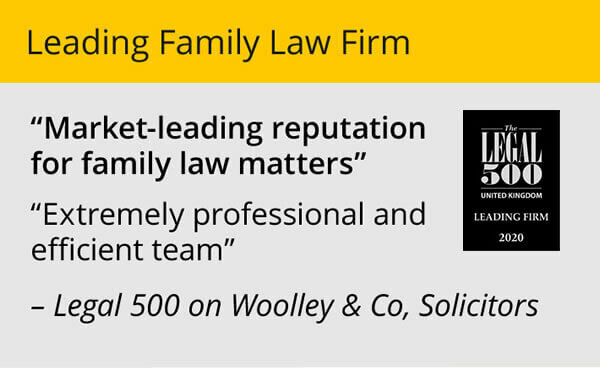 At Woolley & Co we offer a fixed fee for a straight-forward non-contested divorce and will also offer fixed fees in many cases for the the case involving any finanical settlement and arrangements relating to the children. REMEMBER the end result is likely to be – that you will not be happy with the end result. How could you be? It helps to try to realise this as quickly as possible. It is often a question of how much you and your lawyer, operating as a team, can reduce the unhappiness rather than remove it. 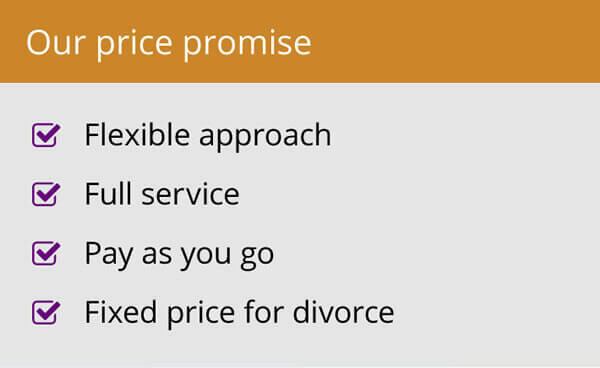 For advice on how you can avoid your divorce becoming 'messy' book an appointment with a family law specialist here or call us on 0800 3213832.